Shaving for men has been around in various forms for many thousands of years and though we have some rather nifty developments in the equipment and products to use, many men still end up with an unsatisfactory finish. From razor rash and razor burn to nicks in the skin and ingrown hairs or razor bumps, getting a smooth shave seems to be a bit of a trial. So here are a few tips to help get that smooth face everyone desires. One of the first steps to shaving is to wet the area to be shaved – but do you just lightly splash it with lukewarm water? For a really good, smooth shave, the best bet is to make sure the area is thoroughly prepared by using hot water and a flannel, repeatedly holding the hot flannel against the area to be shaved, this will greatly soften the bristle. – showering before you shave is also a great way to achieve this. Don’t apply shaving products or try to shave on a dry or lightly moistened face as that is a sure fire way of getting razor burn. There are no shortage of men’s shaving products currently available and which is best is largely a matter of personal preference. However, when looking at shaving cream, opt for one that creates a creamy lather rather than just a foam. Foaming soap isn’t the best substance to shave with, while a creamy lather can mean less irritation to the skin when shaving. 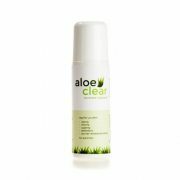 It also acts as a lubricant for the skin which reduces the chance of nicks and cuts. Shave gels can also be very good at preparing for a clean, irritation free shave. Shaving brushes may seem old fashioned but they are still rated as the best option for preparing for a good shave. A shaving brush works the hairs, raising them up from the skin to allow for a better, cleaner shave. It also works up that creamier lather that we mentioned to get a nick-free shave. Apply the cream in a circular motion ending with an upstroke that further lifts the hair. When shaving, to avoid ingrown hairs, only go with the direction of the beard growth. For the closest of shaves go against the growth with the second pass of the razor. Start on the sides then the upper lip area and then the chin. Hairs around the chin tend to be the very toughest so let them soften the most with hot water and the shave cream. Shaving against the growth is a top reason that you end up with ingrown hairs, also known as razor bumps. These happen when the hair growth back into the follicle rather than out of the follicle. This causes the surrounding tissue to become infected and red and inflames the skin.